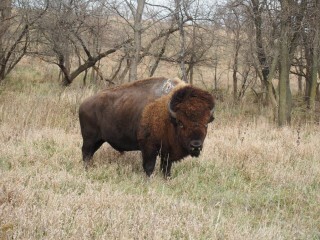 The story of the restoration of bison to the American West is one that is well known in both conservation and zoo circles. During the nineteenth century, the mass slaughter of bison with the settlement of the West brought the species to the brink of extinction. 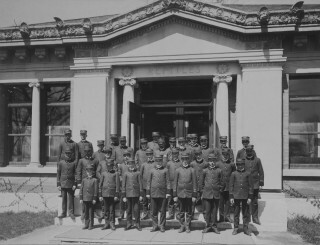 In 1905, the first Bronx Zoo director, William T. Hornaday, and several other major figures in the science and sportsmen communities convened at the Bronx Zoo and formed the American Bison Society (ABS). With Theodore Roosevelt, who had pledged his support for the group, as its honorary president, the ABS set out to prevent the extinction of the American bison. Remarkably, within just ten years, the ABS accomplished its goal by establishing several small herds—sometimes with animals from the Bronx Zoo—in widely separated preserves across the country. It is one of conservation’s greatest success stories and a shining example of how zoos can serve to further conservation goals. If this story has become familiar to many, perhaps what is less known is the diverse, behind-the-scenes effort by hundreds of people across the country that went in to achieving this success. This took the form of lobbying, letter-writing campaigns, and fundraising. It also took the form of tremendous physical labor—in the raising and care of the animals, in the surveys of the potential lands to serve as preserves, and in the transport of bison across the US to these preserves. 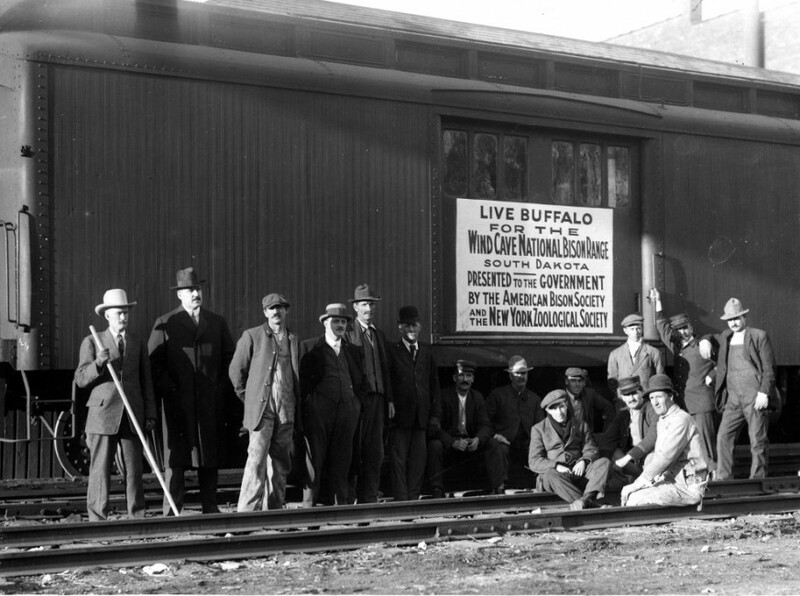 This photo shows a team engaged in the last of these efforts: pictured at the Bronx’s Fordham Road train station in November 1913, these individuals oversaw the successful transport of bison from the Bronx Zoo to South Dakota’s Wind Cave Reserve (known today as Wind Cave National Park). As we celebrate the passage of the National Bison Legacy Act designating bison as the nation’s mammal, we also remember the historic effort that went into securing the survival of this species. 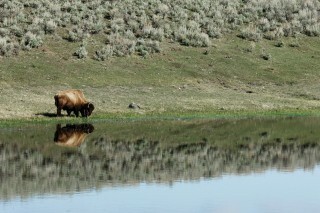 EDITOR’S NOTE: Our national mammal is officially official after President Obama signed the National Bison Legacy Act into law on May 9th. The bison has been important to our history and culture for centuries – and no animal better deserves a place next to the bald eagle as a symbol of the United States. Send your thanks to Obama and Congress here. What an awesome photo and fantastic story!! Thank you! !